An unconscious Lag is carried by Niche until Jiggy Pepper happens to pass by and offers them a ride back to the Bee Hive. Lag dreams of an injured Gauche waking up with amnesia. 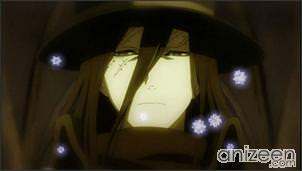 The leader of Reverse, Lawrence, who also calls himself the “One who was not Able to Become Spirit”, gives him a new identity, Noir, and makes him a Marauder. After recovering, Lag reports to Largo, Aria and Dr. Thunderland Jr. on Gauche’s amnesia and defection. Largo explains that Marauders steal letters from Bees working directly under Reverse, an organization intent on finding information to topple the Amberground government. 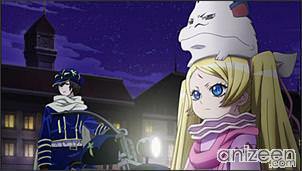 Lag is instructed not to mention Gauche’s defection to anyone. Niche tries to cheer Lag up but he remains wondering how he is going to explain to Sylvette about Gauche. 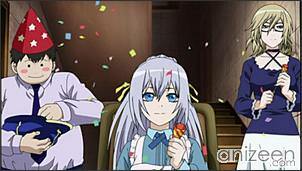 However, Sylvette throws a “Thank You” party, with Aria’s help, for Lag for finding her brother’s whereabouts. Sylvette is glad Lag managed to find Gauche, and tells Lag she will await her brother’s return once Lag brings him back. Lag is comforted by Sylvette’s understanding and encouragement and both break down in tears. Zazie finds Niche’s underpants outside Sylvette’s house but she herself is nowhere to be found. Niche feels guilty on failing to protect Lag and has run away. Lag Seeing is a 12 year old boy with a very focused mindset, regardless of what situations he gets into and always focuses on delivering the package. He has a special gun called the Shindanjuu, literally the “heart bullet gun” where he loads a “fragment of heart” into the gun, then fires it at the target. He is seemingly being able to control the direction of the shot. As a child, he was “delivered” by the letter bee Gauche Suede, and was inspired by him to become a letter bee. Niche is Lag’s personal Dingo. She travels with Lag, acting as his bodyguard against Gaichuu, and sticks closely to Lag along with her “pet”, “Steak”, on her head. She battles using her hair, also known as “The Golden Sword”, manipulating it into powerful blade-like tentacles capable of lifting things several times her size. She has bearlike forearms and claws which she usually keeps covered with oven mitt-like gloves. Lag found Niche at a train station on his way to his Bee Interview. She was a “letter”, but the address on her mailing label was incomplete and she was scheduled to be “abandoned” in two more days. Gauche Suede is is the letter bee that finds young Lag Seeing marked as a letter in “Coza Bel”, a small town in the “Yodaka District”, the low class district in Amberground. 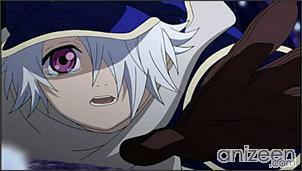 He has to deliver to “Cambel Litus” a town also on the “Yodaka District” so he can join his aunt who was trusted to take care of him from the person who wrote Lag’s letter data. Gauche is also a caring and enthusiastic letter bee, he is trying to become the “Head Bee” so he has enough money to help his sister and live peacefully. 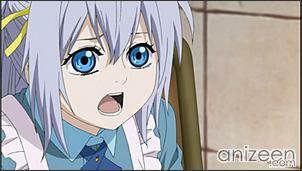 Sylvette Suede is Gauche’s younger, paralyzed sister. Born on the Day of Flicker, like Lag. Her brother left her to go to Akatsuki, and eventually disappeared. When she would meet Lag, years later, she had claimed to have given up on Gauche being alive. She later learns he is alive, and Lag promises to find him. 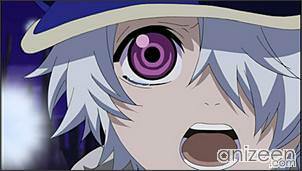 Roda is Gauche’s “Dingo”. She is a skillful dog that seems to be very well trained for fighting and tracking situations. She appears to be a skilled hunter as well. When Gauche confronts Lag, Roda, in a human female form, confronts and distracts Niche. 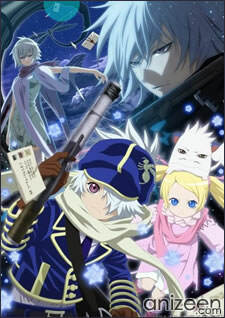 Tegami Bachi: Reverse (テガミバチ REVERSE), also known as Letter Bee, is the second season for Tegami Bachi anime, based on a shounen manga series by Hiroyuki Asada. 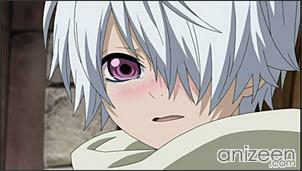 The series was first serialized in Monthly Shounen Jump. 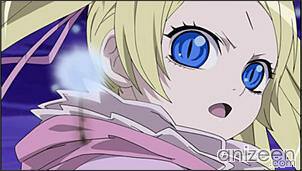 A special anime adaptation (OVA), was shown during the Jump Super Anime Tour events in Japan in the fall of 2008. 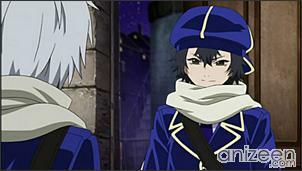 It was titled Tegami Bachi: Hikari to Ao no Gensou Yawa, and was animated by Studio Pierrot. 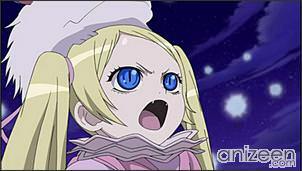 The second anime series start airing in October 1, 2010. 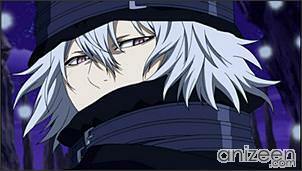 Opening Theme: “Chisana Mahou” by Stereopony ep 1-13; “Yakusoku” by Suga Shikao ep 14-. 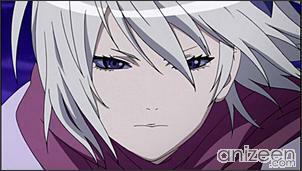 Ending Theme: “Wasurenagusa” by Piko ep 1-13; “Perseus” by Yamazaru ep 14-.